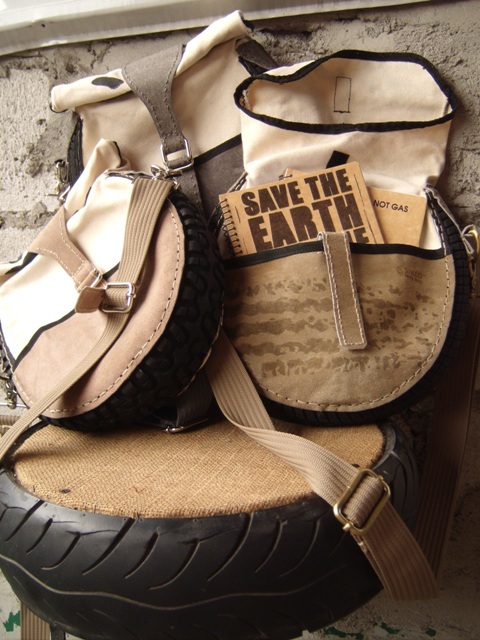 Now here’s a fashion statement with a worthwhile message of: “Save the Earth”. Using garbage, toxic garbage at that, and turning it into a thing of beauty, worthy to be displayed and called fashion is a stroke of genius with a heart. 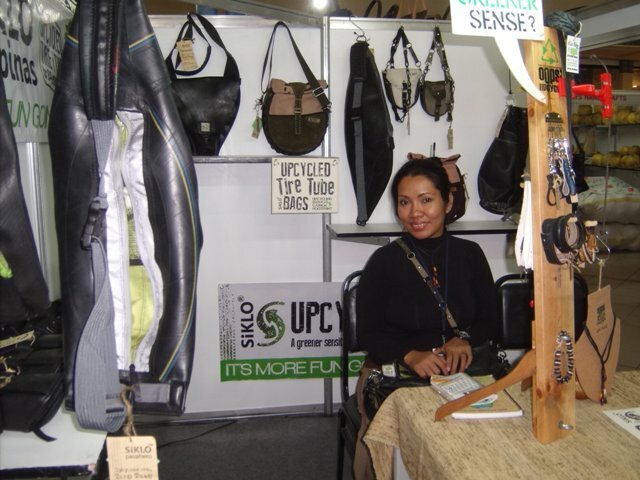 Bags, belt bags, back packs, jewelry, belts for Indie chic or bohemian fashionistas are now available thru Siklo Pilipinas. 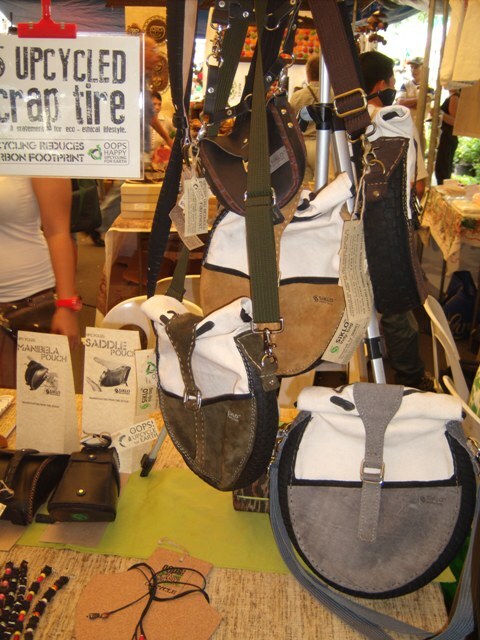 You can find their cool products at Legaspi Sunday Market every Sunday from 7am to 2pm located at Legaspi St., Legaspi Village, Makati City. 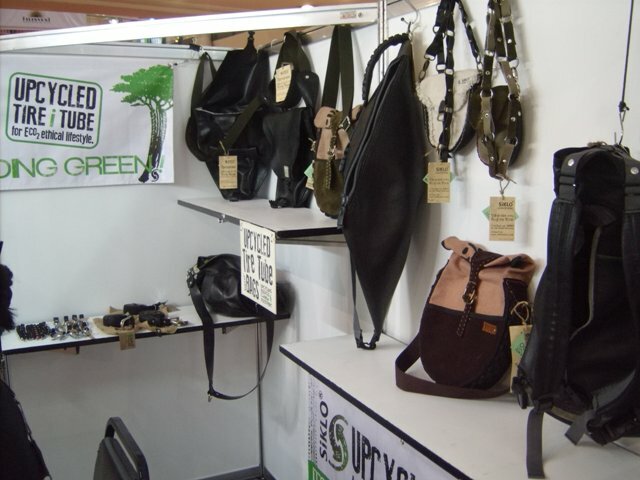 They are also available at the DTI-NCR Metro Festival 2013, Monday to Friday 8am to 5pm which will be held until March at the DTI Bldg., BDT Showroom, Buendia Ave. Ext. corner Makati Avenue besides Petron Gas Station.at DTI, Buendia. Did you position your company to be pro-environment when you started? What inspired you to take on environment as your advocacy? “Wherever humans trudge there will be trash, or put another way, humans trash the environment. We are avid backpackers, since college days, where we learned to respect nature. The mountaineering slogan “take nothing but pictures, leave nothing but footprints” has become our habit wherever we go . . . from the mountains of Mindanao to the remote islands of Polillo. When we get home, our backpacks were always filled with personal trash instead of souvenirs. 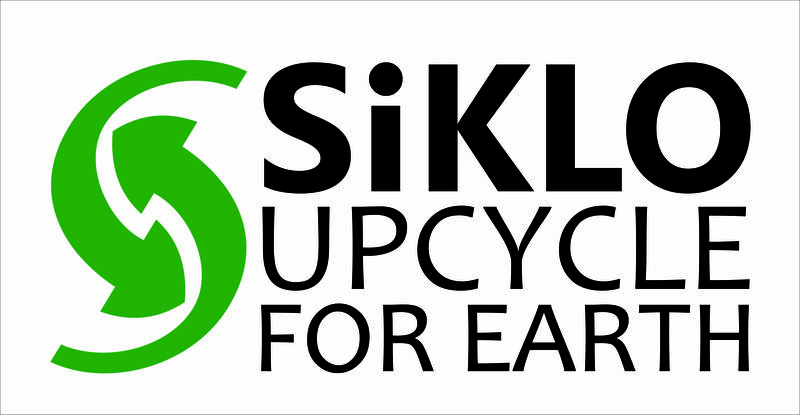 Doing that for more than a decade, I can say we are pro-environment and so is Siklo Pilipinas“. 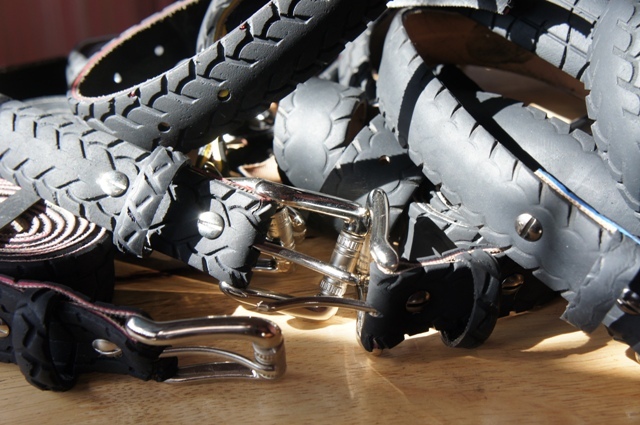 How did you learn about using old tires as part of your designs? 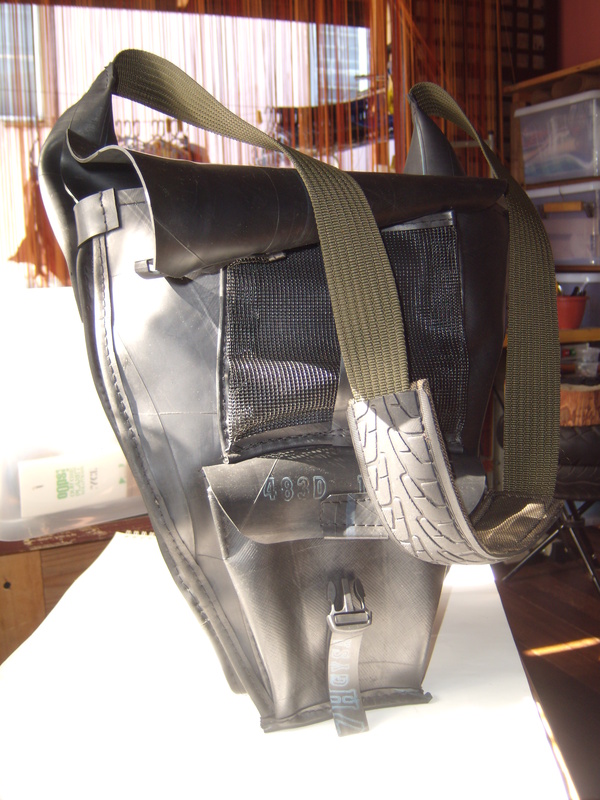 “We started this upcycling venture in 2011. In my research for an eco-project for our local store, I came across tire rubber which is a stubborn trash to decay. We shared ideas with my designer husband on what we can do with this material. Every night, for like a month we brainstormed then finally we got excited over the feasible ideas we came up with. 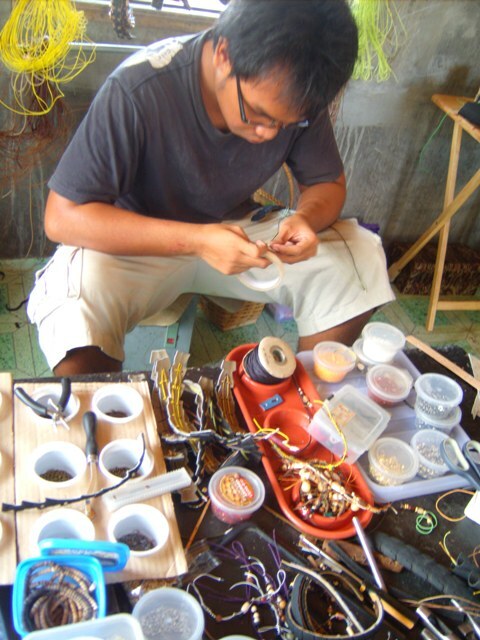 The first time we tested our product in Legaspi Sunday Market, we were asked if we could export our designs to Europe. We were encouraged and inspired to work harder. With a designer available 24/7, we begun accommodating customer suggestions and personalized their specific needs. 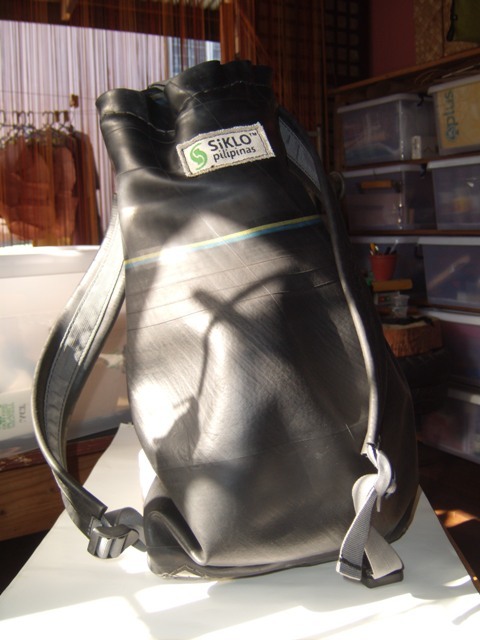 We started with bicycle panniers until our product line grew into bags. My husband would comment that the work was enslaving and very demanding but yet it was a welcome creative challenge. Could you explain the difference between upcycling and recycling? Does it cost more to upcycle than recycle? 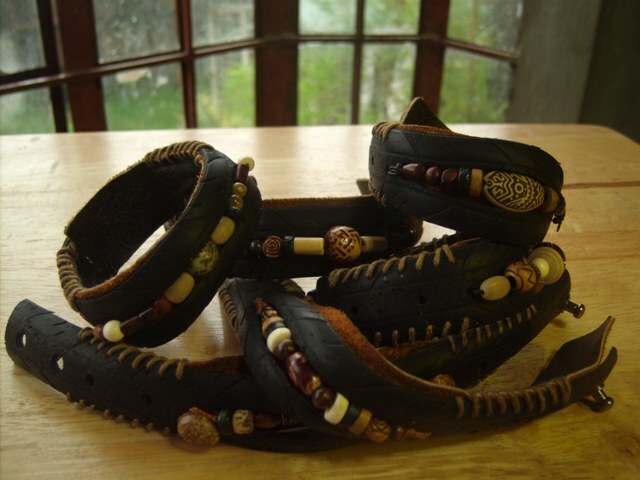 “If I am to differentiate between Upcycling and Recycling in my own terms: Upcycling has very low carbon footprint in manufacturing a product and usually involves more people in the process. Recycling, on the other hand, has usually more carbon footprint in the process of making a new product with more energy and machines. But I think recycling has lesser cost involved as the process of extracting raw materials from nature (logging, mining) is significantly reduced. 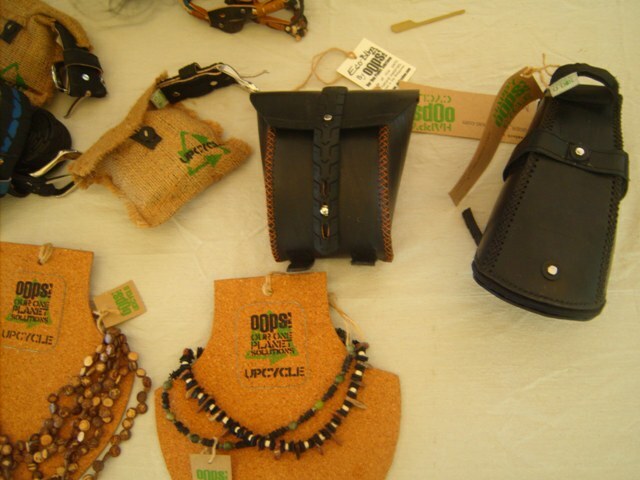 Upcycling and Recycling have totally different manufacturing processes: in Recycling, you dictate the materials but in Upcycling the material dictates you. 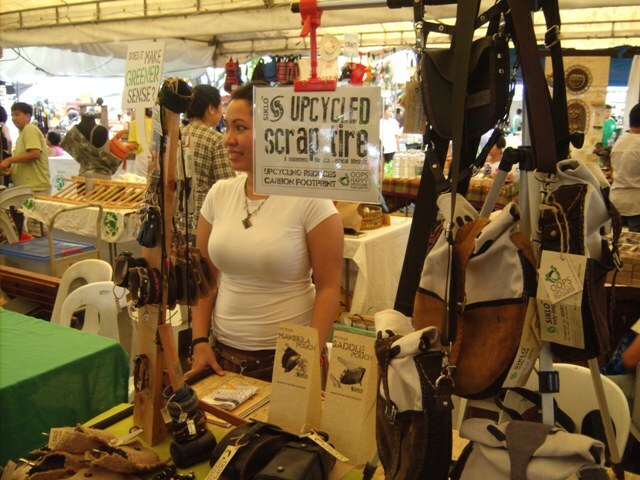 What other waste products will you consider upcycling in the future? 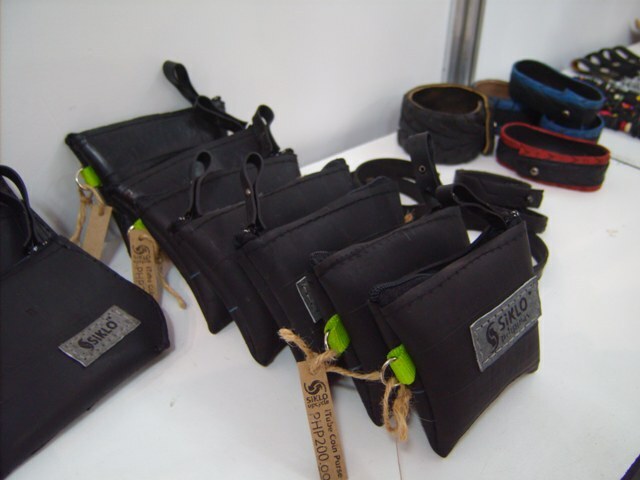 “We were truly amazed by how people reacted to our products. Several government officials, as well as private institutions, offered financial support to our endeavors. It’s funny to think that the most sought after items we have is my calling card. Seriously, we have observed the following buying trends of our customers: Most Filipinos are attracted to our Indy satchel series, usually from young sports-minded professionals down to younger teens and even kids! But there were more foreigner kids though than local Pinoys. Being creative with disposable materials, applying it in business may just be the new business trend. Making profit where everyone will benefit in the long run is not a bad way to do business. Take it from Siklo Pilipinas. The concept is Awesome.. so with the products.. very GREEN. San pwede makita yung price list? Hi Nice Leo. Our contact number is +63 922 239 5319.